Built by one of the most highly regarded Certified Master Coach builders (CMC) of Cadillac limousines, this DTS is a beautifully elegant option to consider. 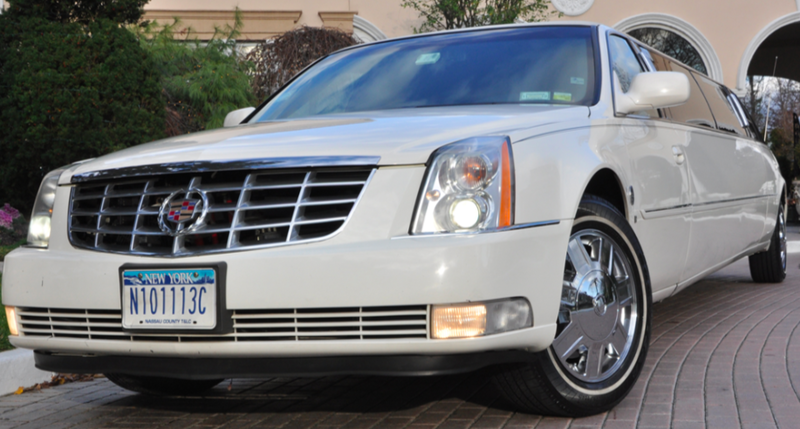 This car is built to Cadillac specifications, including factory 17” chrome rims, original “White Diamond” pearl white paint, and a strong identifiable emblem. The interior features an exciting and elegant fiber-optic lighting setup in and around the bar and ceiling, the back plate of the bar, and the partition are covered in a mirror/twilight backing that is very romantic. There is a 15” flat screen TV mounted on the partition, a 9”flat screen mounted mid-vehicle on the passenger side, and a 9” T.V. mounted toward the driver side rear of the vehicle. All three flat screens are connected to a DVD player and play through our state-of-the-art, custom made stereo system featuring three 12” kicker” sub-woofers, powered by a 1,000-watt amplifier and a separate 600 watt amplifier for the “Blaupunkt” speakers on the interior. This vehicle looks great, sounds great, and looks terrific in pictures.